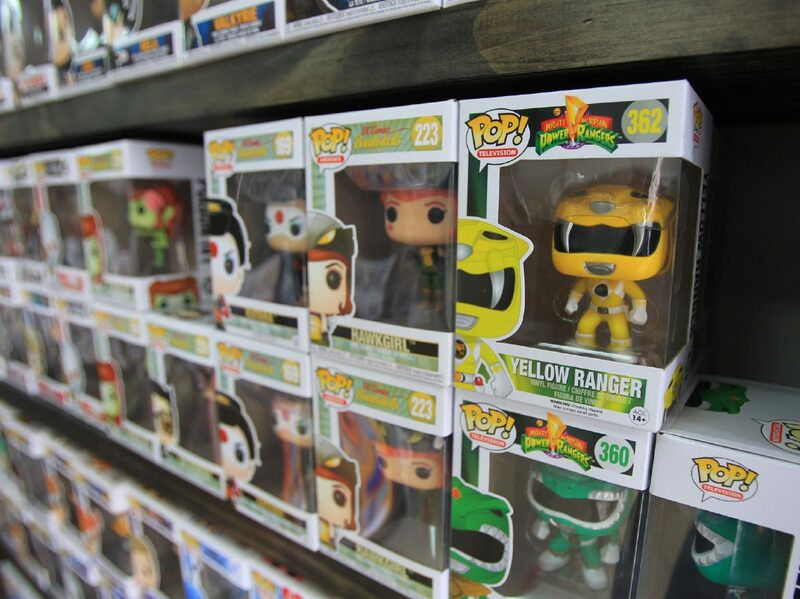 Limited Editions Comics and Collectibles on Wednesday, May 2, 2018 in McAllen. 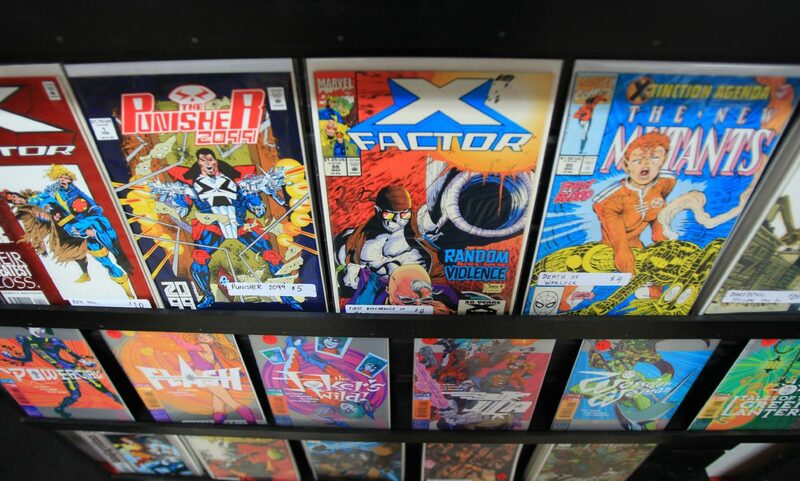 The walls of Limited Editions — a 7-month-old comics store — are covered in memorabilia, posters and racks of comic books organized by date of release. Customers trickle into the shop each Wednesday — the day new comics are released — to snag the latest installment of their favorite narratives. 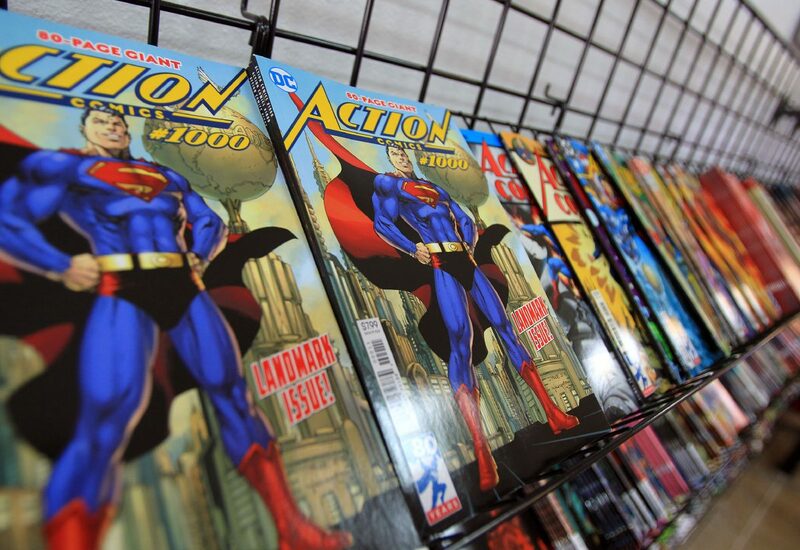 But hundreds are expected to swarm the McAllen shop this weekend, taking part in the store’s first Free Comic Book Day. Other veteran comic sellers, like Myth Adventures, Hobbies and Heroes, Kirby’s Comics and Kaboom Comics, host the FCBD event every year, giving away thousands of books. 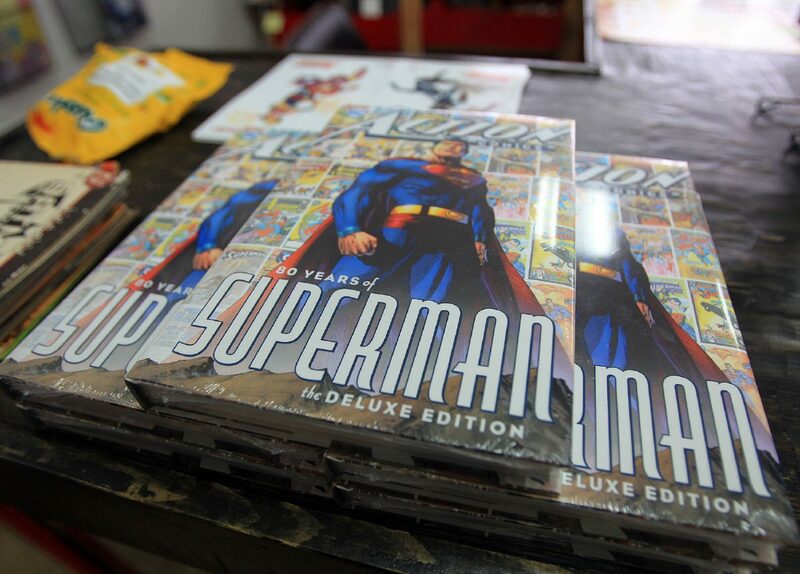 Giving visitors an inexpensive sampling of comics is a good “test run” for parents “to see if their kids are into comics,” said Abraham Peña, co-owner of Limited Editions. The collector opened the new spot in October 2017, and the team has seen growth each month since opening. The first Saturday in May is FCBD — an industrywide celebration of the medium designed to draw in new customers. Participating shops purchase select comics at a discounted rate. 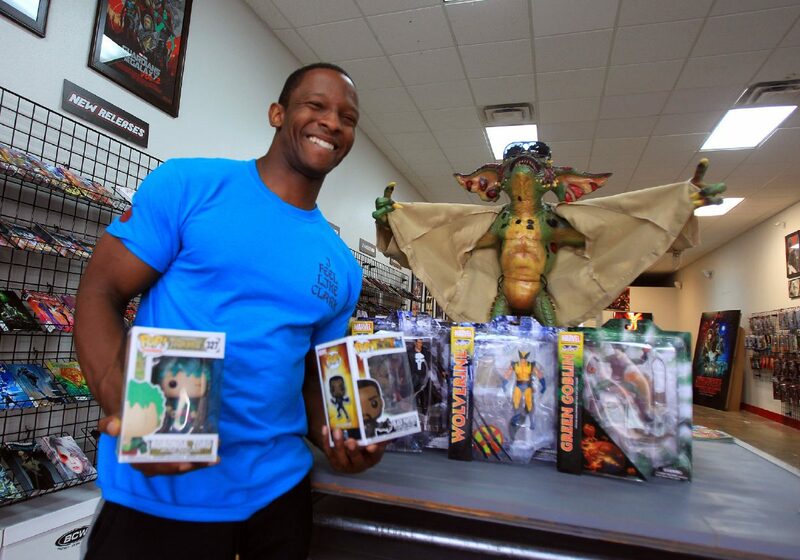 Benjamin Hayward, Co-owner of Limited Editions Comics and Collectibles, poses on Wednesday, May 2, 2018 in McAllen. Helgi Davis, co-owner of Myth Adventures, said his investment of about $750 — 15 cents to a quarter per comic book — is well worth it. He sees it as a form of marketing. “I think our dollar goes the farthest with that type of advertising,” he said. 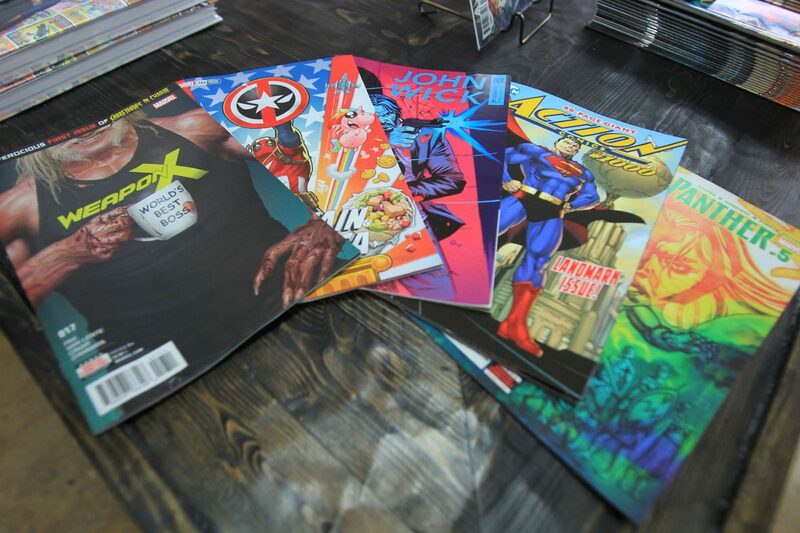 FCBD serves as an opportunity to invite new patrons into the specialty shops and allows potential readers to sample a variety of choices in hopes they get hooked, said local comic book retailers. Marvel’s latest “Avengers” film opened last week to record box office numbers, and most major networks and streaming services offer shows rooted in comic-based properties. As comics have hit the mainstream, so has the interest in the characters’ mythologies. Davis has sold comics since 1989. In the ‘90s, more than 95 percent of his customers were men, he said. Business increased with the popularity of superhero films — like Tim Burton’s “Batman” — and then busted a few years later. Genres like anime and manga have since expanded the demographics, Davis said, and the explosion of superhero blockbuster movies and television shows during the last decade introduced audiences to a plethora of stories, according to Davis. Fandom has not only expanded to more platforms, but also includes more diversity. Now, 40 percent of his customers are female, he said. Recent iterations of notable heroes have even been replaced by heroines. The industry is expanding with a diverse product lineup not dependent on just books. Davis said while they sell more kinds of books now, they sell a smaller quantity overall. And this year, toys are outselling comics at Myth Adventures, he said. 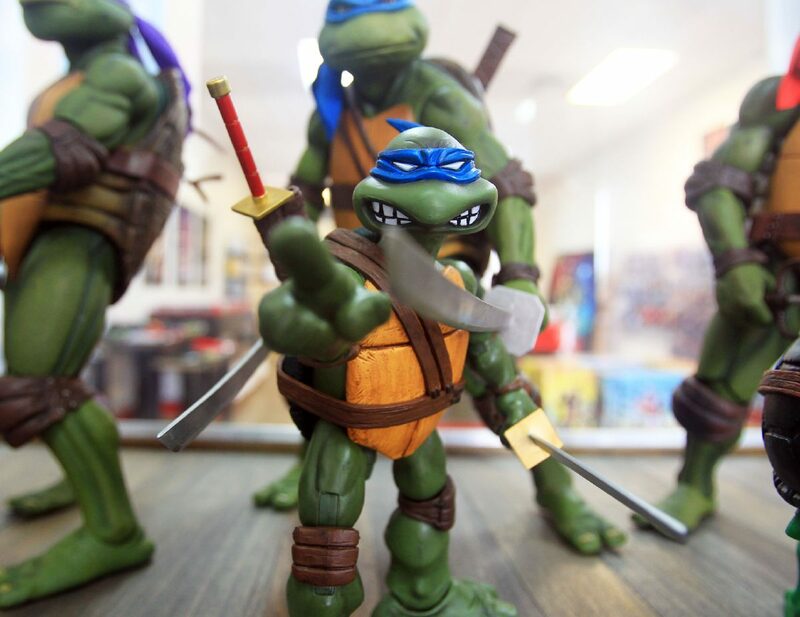 Toys, figurines, card games, clothing and other merchandise have changed the market. People are looking for complementary items to their favorite movies and TV shows, local sellers said. While the comic books may no longer be the primary driver of the industry’s economics, they still serve to richen the depth and understanding of the worlds and characters fans already love.